Stairs of the Temple of Antonius and Faustina (AD 141) in the Roman Forum. The Church of San Lorenzo in Miranda was built within the temple space in 1601-1602. 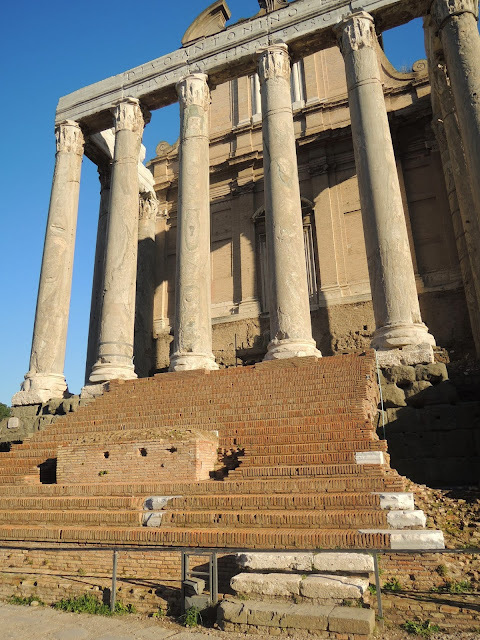 There are only a few remaining fragments of the original marble that covered the steps. The rest of the marble was quarried (robbed) for the building of St. Peter's Basilica. And yet, even stripped of their marble, the stairs are beautiful. Maybe even more so than if they had come down to us as originally built.